Note. Gonna say again guys. The conversations on the Twitter machine are fascinating. It really looks like the place where you get breaking ideas, concepts etc. Just follow DTR Magazine, Think Defense, Nicholas Drummond, Defense Aerospace or even readers of this blog like Ogden (plus MANY others that I can't seem to recall right now). Social Media is a place of evil but it can be a place of great good too. Check them out! The @BritishArmy and @AustralianArmy should take note. 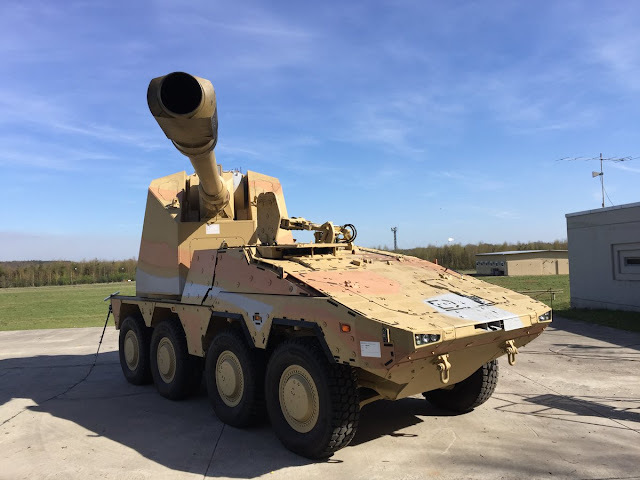 A wheeled SPH capability will soon be available on the Boxer RCH 155. Not a perfect solution by any means but Boxer's modularity allows for the capability without introducing another vehicle type.